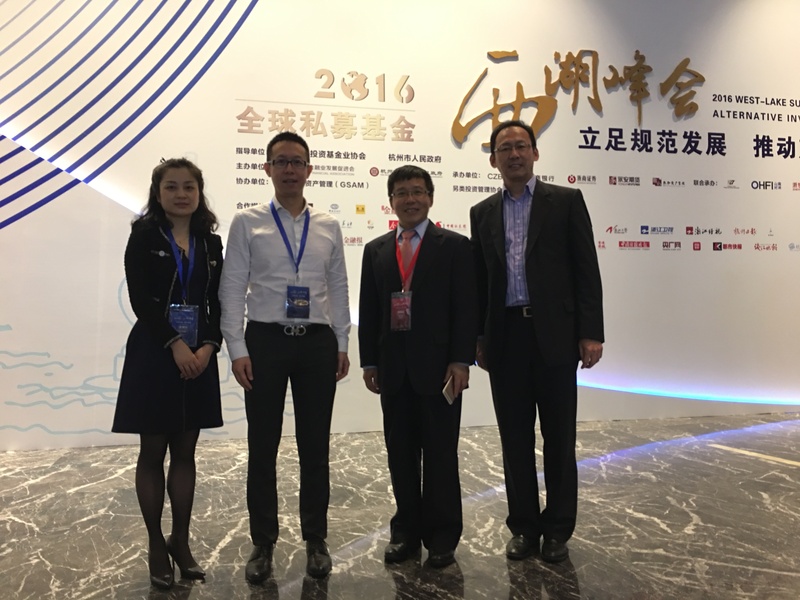 The 2016 Global Hedge Fund West-Lake Summit was held in Hangzhou on 7 Nov 2016. This year's summit has attracted worldwide financial leaders as well as industry experts from top investment firms to engage in active discussions on promoting industry development on better regulation and ways to sustainable growth. More than 1000 investment professionals attended the summit. 4 representatives from CAFE participated in this year’s summit.